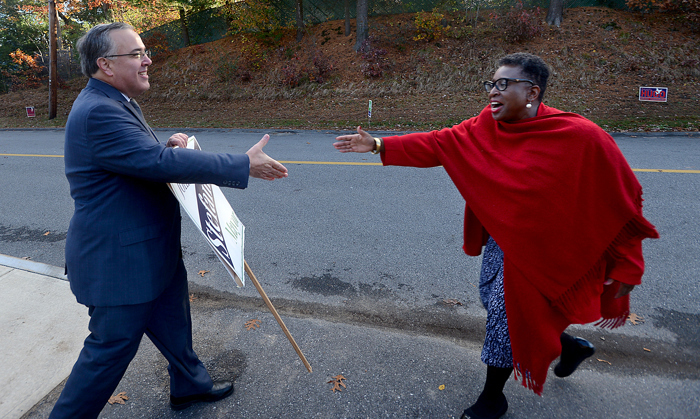 Opposing Framingham mayoral candidates John Stefanini, left, and Yvonne Spicer meet briefly to shake hands at the George King Elementary School polling station on election morning, Tuesday, Nov. 7. Earlier in the year, Framingham voters decided to change its form of government from a town to a city. 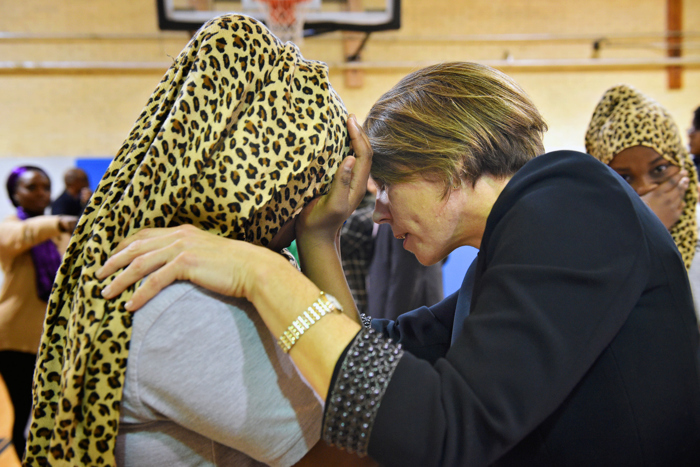 Spicer won the election, making her Framingham’s first mayor and the first African-American female elected mayor in Massachusetts. 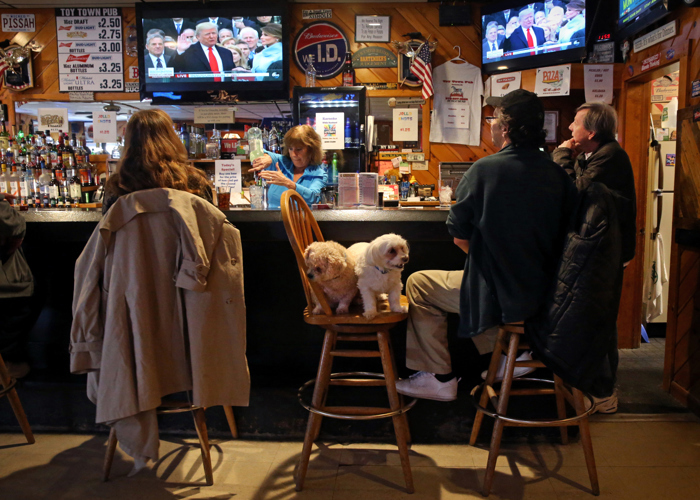 Scott “Dusty” Dunton was accompanied by his dogs, Sissy and Buck-A-Boo while watching President Donald Trump take the oath of office on television at the Toy Town Pub in Winchendon, MA on January 20, 2017. Dunton said he voted for trump because, “I was afraid Hillary would put us into debt. We need a stronger mind in there, I think he can save us.” The town of Winchendon voted for President Obama in 2012, but this election more people backed the Republican candidate and voted for Trump. 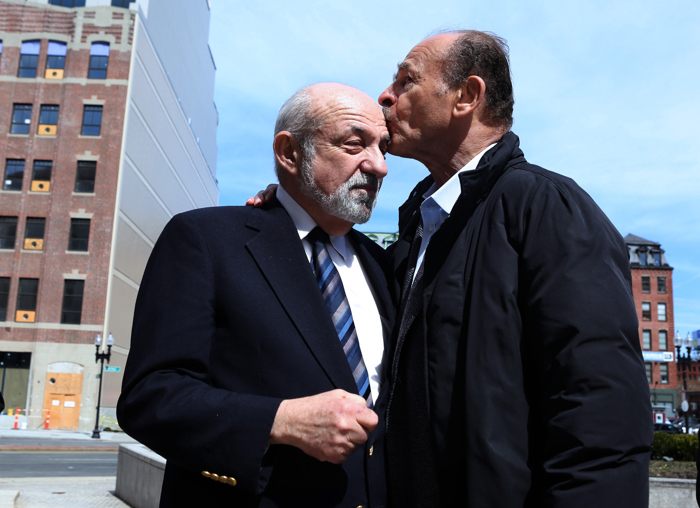 Suffolk County Register of Probate Felix D. Arroyo gets a kiss from supporter John B. Cruz III, president of Cruz Construction, following Arroyo’s news conference regarding his suspension and subsequent investigation outside the Brooke Courthouse in Boston, Monday, April 3, 2017. 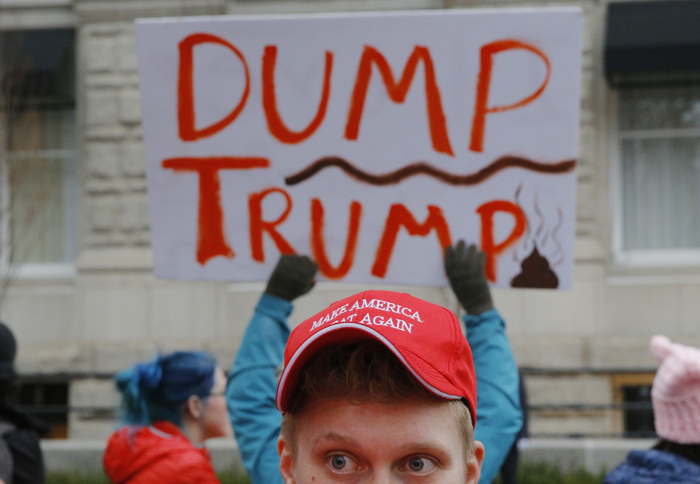 A supporter of U.S. President Donald Trump talks to opponents during the Women’s March on Washington in Washington, DC, U.S. January 21, 2017. 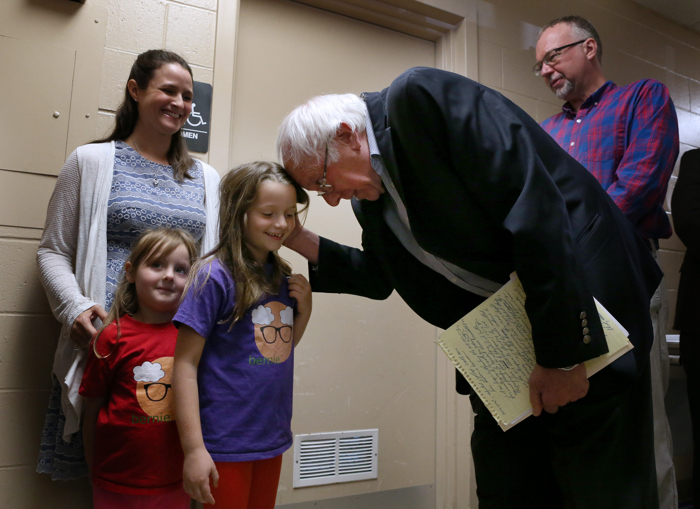 U.S. Sen. Bernie Sanders greets Mara Bridgett, 7, of Hooksett, N.H., as he arrives at the AFL-CIO Labor Day Breakfast at St. George Greek Orthodox Cathedral in Manchester, N.H., Monday, September 4, 2017.